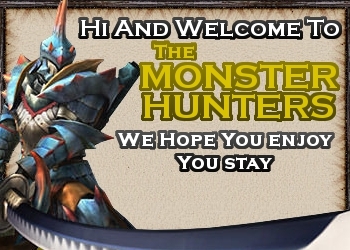 Just saying Hi to all the monster hunters on this site. The reason i chose my username as is its because i use a lot of Lao weapons because they are one of the best dragon weapons before G-rank. I have killed lots of elder dragons just cause. I really like a elder dragon beat down for the most part. welcome to the forum!! if need any help on using this site, then just ask! welcome to the forum! hope you enjoy your stay. Best dragon weapon in the game. Just keep upgrading your red dragonsword and youll see the power of a true dragonslayer.